We have been busy making improvements to provide you with a great viewing experience when watching your favorite Fox shows and sports. 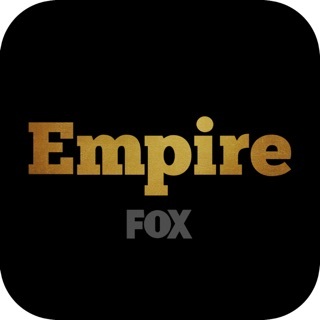 Update the app for the best Fox Now experience. I like the App. My only problem with it is it's hard to find the "heart" to tap to mark a show as a favorite. I also wish FOX would stop taking off the good shows, sometimes after only a few shows, and replacing the series with crap. They don't really give some of them a chance to build an audience or find the cause of low viewership. There are hundreds of channels so there's lots of competition and I'm sure they don't get the stats for all of them. It also makes me mad that they mostly consider the 20 to 40 age group viewership, but dismiss especially 55 and older. That is discrimination and skews their viewer info tremendously. We watch TV also, and maybe more than the 20 to 40 range who are busy with social lives or doing family things with their young active children. Older adults' opinions still matter! I'm over 55, but I watch some of the same shows my 35 year old son watches. I'm not trying to plagiarize this review, but if I didn't know better, I would believe I wrote this review. New version of this app on AppleTV is so bad in terms of GUI usability. All it does it lock up and freeze. Finding shows is like fumbling through and just blindly pressing and swiping buttons until you get lucky. Once you’ve actually watched a show, navigating back out and to something else is impossible as the GUI freezes as it tries to buffer and pull data for all the graphics and show previews. Just bad overall and this is on a latest gen AppleTV with latest OS on it that NO OTHER APP HAS ISSUES RUNNING ON LIKE FOX NOW DOES. Fix this last horrible rewrite of the app! It also slows down the Home AppleTV GUI when the app has been running for a while and is still in the background. I always have to close the app fully in order to get my 4th gen AppleTV to work smoothly again. Leaving the app opens almost seems like it causes a memory leak or CPU cycles to be used by it in the background when it shouldn’t be. We're sorry for the trouble you've experienced, and we appreciate you getting in touch with us. Please email FOXNOW.Support@fox.com for further help with this issue. You can also try the troubleshooting steps at http://fox.tv/ios-support and see if they help. I just spent an hour and a half trying to watch a 45 minute show through my chrome cast device. Every time I hit the 15 second rewind it would go back to my starting point of the show. In other words, I had started watching a show at the 15 minute mark but whenever I tried to loop back, it would loop all the way back to that 15 minute mark. The only way I finally figured out to make it work was to stop chrome casting and watch it on my iPad or iPhone so I could slide the show forward manually then start casting again. However every time I did that, if I needed to loop it back 15 seconds he would go back to the last starting point. Extremely frustrating and irritating and will be the main reason I won't use this app with my chrome cast. It will just be easier to watch the shows on demand. It's a shame really because there are some great shows I'd love to catch up on that I can't on demand. Thank you for providing this feedback. For any further questions, please email FOXNOW.Support@fox.com.